Everything needed for integrating external data can be found here. Click here to find out how to open the module. 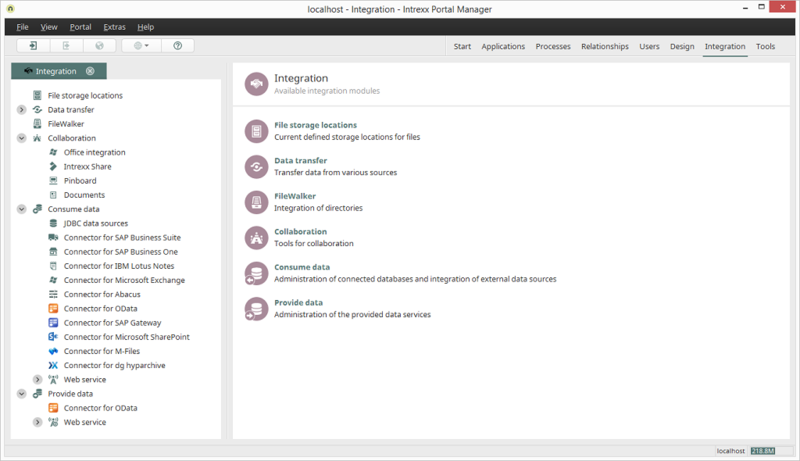 If you are logged-in to your portal, the corresponding functions are available on the left, in the "Integration" area. The login dialog will automatically appear, if you select a function without being logged-in. The created connections for each function can be seen on the right.